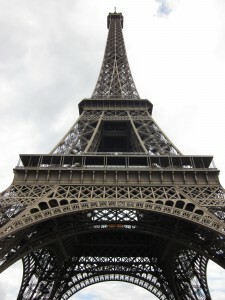 I am happy to share with you our first two days here in Paris! The professors showed us around the more important places to know where we are staying at…the Cité Universitaire like the bank, the cafeteria and more. After that we received our métro cards, cell phones and we were off and running. Since we had the evening to explore and get acclimated with the city, a few of us went out to dinner and got to know each other. By the time 10:00 PM came however, everyone was ready for bed. Then, the adventure began the next morning! 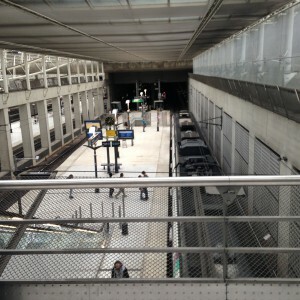 The train station that goes directly into the airport, Charles de Gaulle. Saturday morning, the second, most of us made it a point to check a couple of things off of our list (since it was a “free day”): A few major monuments and a crash course on the métro. 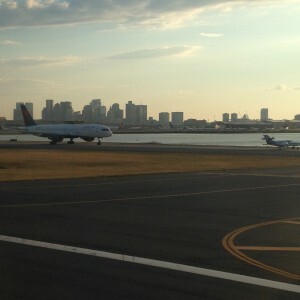 I thought that it would have been like trying to learn the subway in New York or the T in Boston, but it was effortless. With that, we covered some ground and we made it to Notre Dame and the Eiffel Tower today. It is amazing! Notre Dame is absolutely beautiful! The building is in fabulous shape and it is flooded with tourists. I am honestly still in a bit of denial that we are even here in Paris now. After that we visited the Eiffel Tower and I can safely say that I want to go back immediately, especially at night. Both areas themselves are bustling with all sorts of vendors and all walks of life. It is very crowded, but exciting! 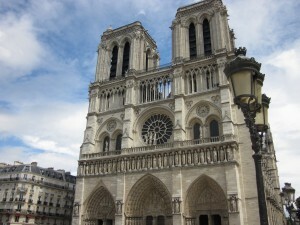 Notre Dame… What a beauty!! La Tour Eiffel towering over me. To think that we have another 14 days here is going to be awesome! There is so much more to see in this beautiful city that I can hardly contain my excitement. The architecture, the food, the people, the easy way of life here… We’re going to be soaking up every minute of it! This entry was posted in Uncategorized by hannah_kaltenbach@student.uml.edu. Bookmark the permalink.